As HP’s high-end representative lightweight laptop, the HP Spectre 13-af000 has received great popularity among many users with its excellent appearance and industrial design. Ceramic white color makes the whole laptop just like a natural jade. The laptop’s thickness is only 10.4mm. 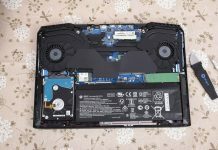 Today, we will disassemble the HP Spectre 13 2018 to explore its internal structure. Before, we have disassembled the Spectre 13-w000 and the Spectre 13-v000. First of all, we need to remove the back cover. There are no visible screws on the laptop. 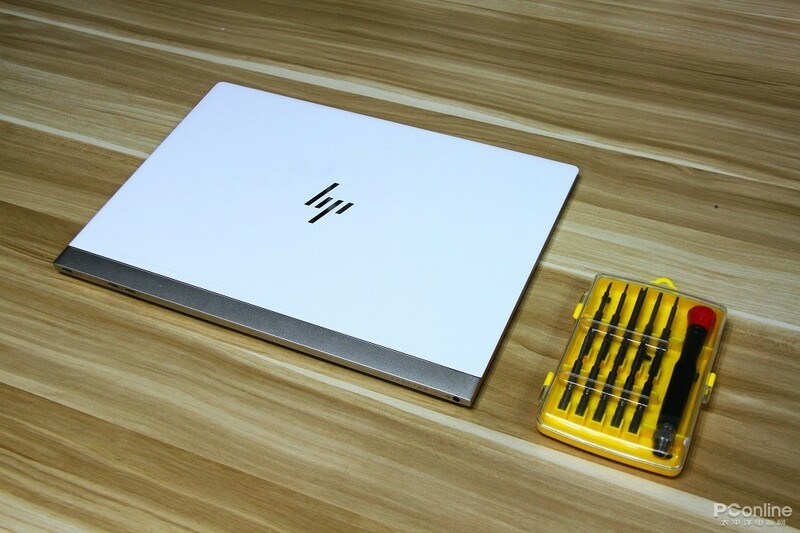 In fact, HP has placed all the screws under the rubber mats to keep the whole laptop’s excellent appearance design. It is not difficult to remove rubber mats since they are fixed by the glue. After removing all the rubber mats, we can take out all the screws with a screwdriver. The thin back cover need to be removed gently. 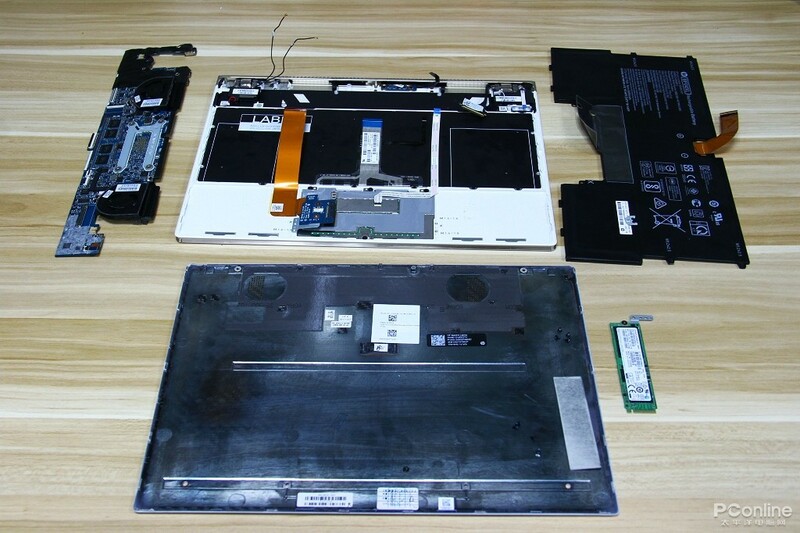 After removing the back cover, we find that the laptop has precise internal structure. 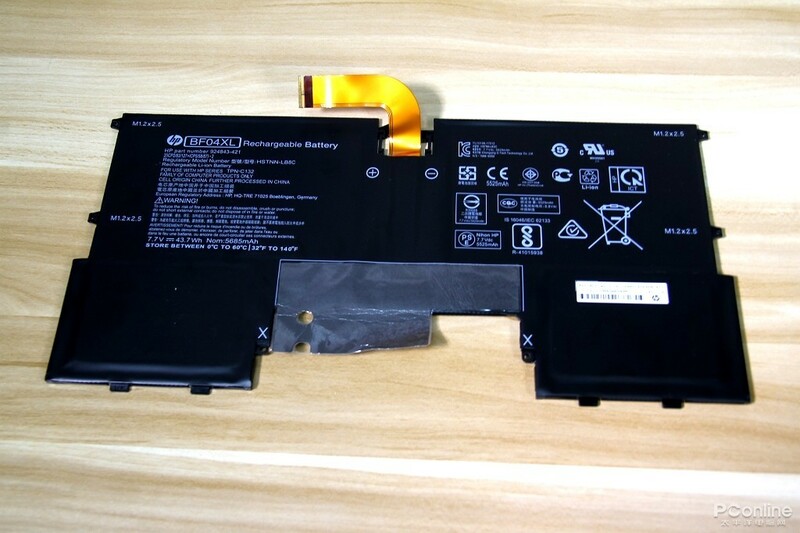 The internal consists of three parts: battery, touch panel and motherboard. 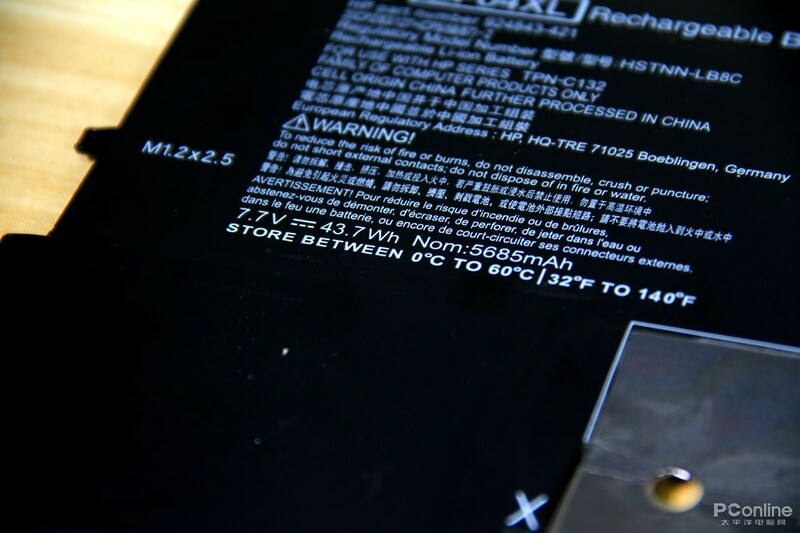 The battery occupies quite a large area, approximately over one-third of the whole device. 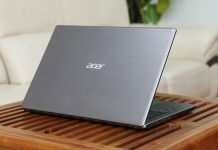 The battery life is around three and half an hour on PCMark, which suggests that the laptop’s battery life can reach the mainstream standard of the lightweight laptops. As a matter of fact, the whole device works under high loads, but such case rarely happens in our daily life. The HP official party announces that the laptop’s battery life lasts 10.4 hours. The battery’s design capacity is 43.7Wh, which reaches the high-end standard in lightweight laptops. The laptop suits most the user who always travels or on a business trip. Battery’s work temperature ranges from 0℃ to 60℃, so it can handle most work scenery. The battery’s voltage is 7.7V. This is the touchpad module, and it is fixed on the laptop body by two screws. Except for touchpad, SSD is also an important component of a laptop. SSD can not only save much space but also boasts of high transfer speed. The HP Spectre 13 comes with 256GB Samsung PM961 M.2 SSD. To enable the user to more conveniently upgrade, SSD is separated from the motherboard. It is the motherboard of the laptop. Laptop’s all core components are integrated into it. These four are memory chips. 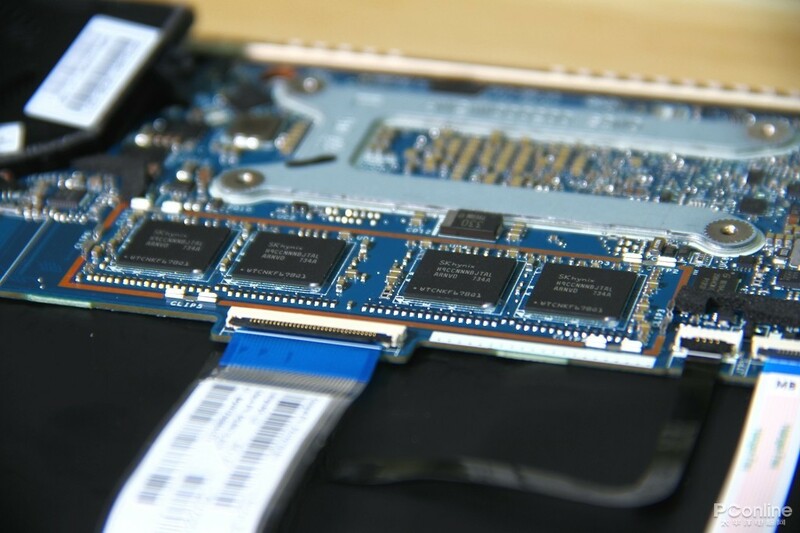 The memory chip is used to process data exchange between the processor and the SSD, motherboard and graphics card. The laptop comes with 8GB DDR3 memory chip with 2,133MHz main frequency. The memory belongs to lightweight laptop’s mainstream specification, and it can handle daily work. Here is the fan of the HP Spectre 13-af000. 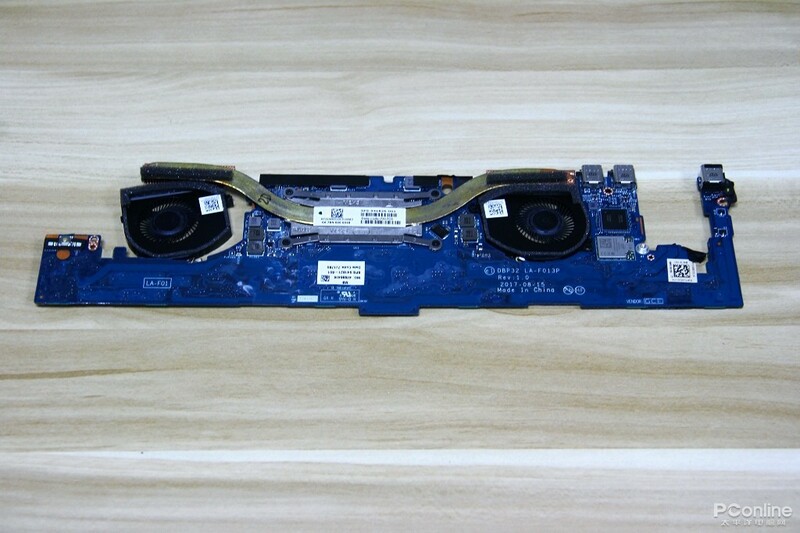 Many lightweight laptops don’t feature a fan to keep their thin body. But it is difficult for a laptop without a fan to work under high loads. 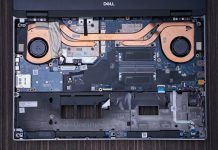 However, the laptop still comes with two fans to accelerate heat dissipation process in the meantime keeps thick laptop body. 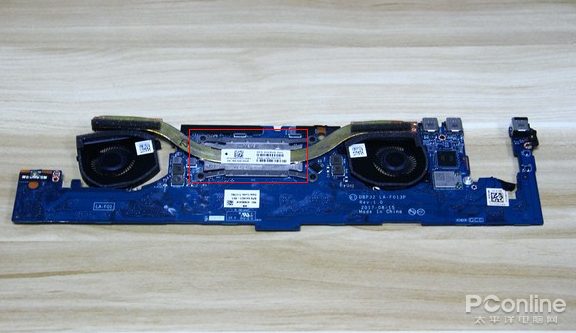 To make the device body more lightweight, the laptop’s expansion port all adopt Type-C ports. Type-C port not only saves more space, boasts of faster transfer speed but also is compatible with more storage and video devices. 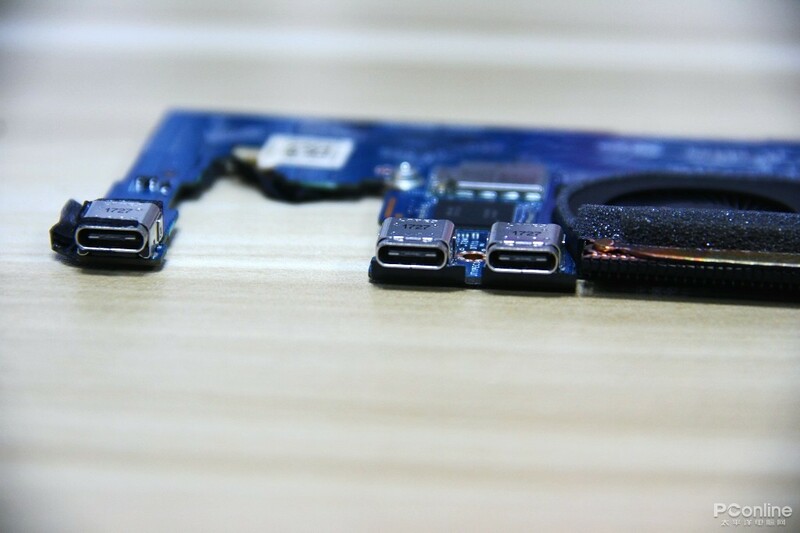 Laptop’s Type-C ports are connected to the motherboard. It is a long copper pipe on the back of the motherboard. The copper pipe gets connected with two fans to constitute the heat dissipation module. Its main function is to conduct heat generated by laptop host. This is the processor of the Spectre 13. The processor is the most important component of a laptop. It is powered by Intel’s eighth-generation Core i5-8250U processor which consists of four cores and eight threads. Its main frequency is 1.6GHz. The Core i5-8250U processor with excellent performance has the small volume, and it is placed under the heat dissipation pipe. These are all the components of the HP Spectre 13 2018. Since the HP Spectre 13-af000 is a classic lightweight laptop, we need to use moderate strength during the disassembly process. 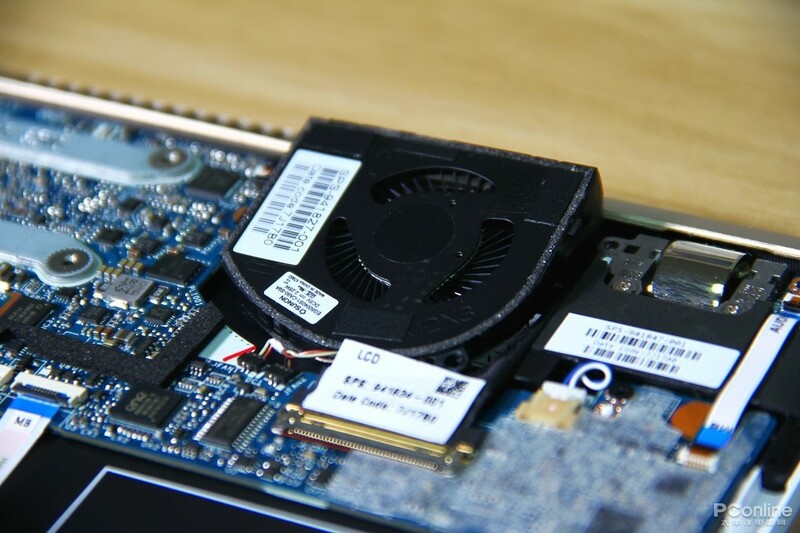 To save space as much as possible, the ultrabook has compact but orderly internal structure. The motherboard doesn’t occupy the large area, but it has high integration. The large-capacity battery is the one highlight of the HP Spectre 13 2018.